Latest donation by the Government of Liberia (GoL), through the Ministry of Education (MoE) to Dolokelen Gboveh High School in Gbarnga, Bong County, has generated irritation from citizens including the Parents-Teachers Association (PTA) of the state-run institution. Recently, the Ministry of Education donated one pack of pen, one pack of markers, one duster, four cartoons of ream of sheets, thirty teachers’ roll books, fifty packs of crayon and thirty teachers’ lecture books to the densely populated school. Speaking in an exclusive interview with The Monrovia Times in Gbarnga, the Chairman of the Dolokelen Gboveh High School, Mr. Sam B. Elliot, described the recent donation as a “mockery” to the school that has a student population of over 1,500. He said if the mother school (Dolokelen Gboveh High) in the County can be given such a supply by the Liberian government through the MoE, it means the rest of the public schools in Bong County, especially those that are situated in the various districts may not receive anything tangible from the government to enhance the learning process of students. Mr. Elliot further lamented that the Dolokelen Gboveh High School is confronted with many challenges ranging from a deplorable condition of the school edifice to acute lack of chairs for use by students. Dolokelen Gboveh was established in 1957 as a high school in Bong County. According to the Gboveh High School PTA Chairman, although some of the damaged chairs of the school have been repaired by the PTA, the learning condition of students in the school is fast deteriorating from bad to worst. He said the situation is based on the fact that more than 200 students always stand in class to listen to teachers giving lectures due to the lack of chairs for them to sit and write their notes while many other students loiter in the corridors of the school as a result of the shortage of chairs and desks for students. He described the learning situation in the school as a serious embarrassment. He said in other to help find remedies to the problem, the PTA and school administration have decided to run two sections. According to him, 11 and 12-grade students attend the morning session while 10 graders attend the afternoon session daily. 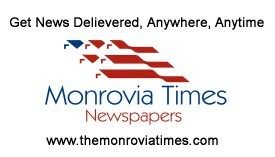 When The Monrovia Times contacted the Bong County Education Officer, Armah N. Varfee, for comment on the issues raised by the PTA of Dolokelen Gboveh High School, he said the donations which were made to the various schools in Bong County are not for the entire academic semester. He said the donation is only intended to jumpstart the current academic semester.